Perhaps you received an outstanding job offer in another state. Maybe you want to downsize your home to save some cash. Or, it could be that a change of scenery is in your periphery. Regardless of the situation, you still have one issue: selling your house. Now, in the age of the internet, it seems that anything is possible after a quick Google search, including going the FSBO route and potentially saving a few bucks off commission. But, when you look at the statistics, you’ll find that only 8% of homes sold were done without a real estate agent. Looking even further, you’ll see that homes sold FSBO are generally sold at a lower price and that those who go that route will often stumble upon an influx of issues, like contracts. Real estate agents exist for a reason, and top agents can almost guarantee you a sale that’s both painless and profitable. Do you know the difference between a buyer’s market and a seller’s market? Not many people do. A buyer’s market exists when the supply of homes is greater than the demand for them. Conversely, a seller’s market exists when the demand outweighs the supply. Phil Harlan a top real estate agent in the Thurston County area explained that the current real estate market conditions play a huge role in how a home is sold. Harlan looks at new construction in the neighborhood over the last six months to figure out what kind of housing market she’s working with. She can use the pace of construction, the comparable prices of each property, and how fast those properties sell to figure out how long it will likely take to sell the home and how much she can price it for. If you’ve never surveyed a real estate market before, you’re going to run into trouble without the expertise of a top real estate agent. Most real estate agents have to go through rigorous training and courses just to get their license. Skill, on top of the actual license, takes years to acquire. Each state has different licensure requirements, but across the board, education and licensing is required. In Thurston County, where Harlan works, prospective agents are required to go through approved real estate courses before they can take the licensure exam and apply for their state license. After receiving a license, it’s upon the agent to find work and a clear path to success. If you’ve never sold a home before, then it will be difficult to know the mistakes that lead to a home being on the market longer or not selling for close to the listing price. Harlan has been in real estate Full Time for over Twenty-Four years. Through having sold dozens of homes, allowing her the ability to correct upon past mistakes, she was able to learn selling methods that simply work. For example, he mentioned that if a home is on the main road in a suburb or if it has a steep driveway, it’s best to mention these flaws up front. Attempting to hide them from buyers is not going to work out in your favor. If you don’t have the background experience to point these little things out, you’re more likely to make a mistake. The real estate market, especially in the United States, can be a volatile one. Big factors like the economy, population density, and even politics can have an effect on how people buy and sell real estate. Without having the tools and expertise to tackle the innumerate amount of factors, the task of selling your home for it’s worth becomes much trickier. While neither you or a real estate agent can’t control these factors, at least a skilled agent knows how to understand what they mean and go from there. For example, Colorado has been expanding exponentially, and is expected to grow even more within the next few decades. This means a lot for real estate. If you’re trying to sell a home there, even in an area that hasn’t seen too much growth yet, it’s in your best interest to understand what this means so that you don’t undersell your home. Let’s be real here. Selling your home isn’t like selling a piece of furniture. If you’ve lived in it, it’s almost impossible to sell it objectively. You painted the walls, you put up the artwork, you hosted dinner parties, danced in the bedrooms, and played with your kids in the backyard. All of those fond memories will bias your thinking and put up unnecessary roadblocks throughout the sales process. A top real estate agent, on the other hand, has no ties to your home and sees it as property rather than a significant piece of their life. Your agent’s objectivity allows them to see the house exactly the way potential buyers do and that gives them a huge advantage. Harlan mentioned that a lot of homeowners will be aware of any major flaws in their home, but they might not see the small things. For example: dirty baseboards. Something like that might go unnoticed by the homeowner, but not by buyers. The legalities surrounding the sale of a home are far out of most people’s comfort zone. There are numerous forms that need to be built and shared between the buyer and seller including mortgage and loan information, tax documents, the deed, title reports, and other documents relating to the property, though every state has different requirements. Writing up a contract for something that costs potentially hundreds of thousands of on your own can cost you a lot if you miss something. Take disclosure statements or forms for example. As a seller, you’re expected to list all of the flaws and values of the property to the buyer. If the home is in a flood zone, for instance, you as a seller are obligated to disclose that. If you don’t and the buyer discovers this, they have a right to back out of the contract, causing you a headache. Top real estate agents who have been in the business for a while have seen and written up multiple contracts, and are aware of the issues that can arise from negligence. Say you missed something on the disclosure form, and the buyer or their family sustained an injury or illness because of it. Because of your negligence, you could face a major lawsuit, even if you were unaware of the defect. If you’re going the FSBO route, it might be a good idea to hire a real estate lawyer to help you construct contracts so that you’re not liable in the case of an accident. However, a real estate lawyer is an expensive route. Depending on the area and the real estate attorney, costs could be anywhere between $100 and $300 per hour, climbing to around $1,000 by the end of the process. While this is likely going to be less than the commission cost of an agent, it’s good to note that your attorney isn’t selling your home for you. They’re not probing the market, interviewing potential buyers, and creating listings. If you’re going to spend the money, why not invest in someone who could also sell your home? According to the National Association of Realtors, 98% of the homes sold by real estate agents were sold at the listing price, and only 37% of sellers reduced the price during the negotiation rounds, numbers too significant to point to a coincidence. Negotiating is tricky business, and it’s difficult to do if you don’t have the tools and experience to leverage a sale. When real estate agents come up with a listing price, it isn’t some random number; it’s dependent on the market. FSBO sellers might feel nervous about losing out on a sale if they don’t give into the buyer’s demands, subsequently causing them to bring down the listing price. Agents, on the other hand, are well versed in the reasons why they won’t go down on the price, because they know that a) the other homes in the market are likely priced in a similar range and b) another buyer who will settle for that price will come along. You have a life and a job outside of selling your home. Taking the time to make up real estate listings, communicate with potential buyers, and show the home can really burden your day. Honestly, if you’re like most people, you just don’t have the time to learn how to sell your home without an agent. Today especially, with the internet being an accessible source to list and find homes, there’s no telling who is going to contact you. Do you know the difference between a lookiloo and a real prospect? Do you have the time to sort through credit scores, hundreds of voicemails, and long unintelligible email chains to filter your leads? That’s where the support of a top real estate agent is crucial. They do all the legwork, you just sign the closing documents. Many top real estate agencies will be made up of a group of people who work together on a sale. Harlan brought up that she has the Phil Harlan & Associates with members who will work to help pre-approve people for a sale before placing them with an agent. Not only does this save time, but it also allows a group of people who are strong in specific areas, like selling, to work together and succeed. While not every top realtor uses a team, they likely have systems in place to speed the process up. Successful real estate agents maintain strong and friendly relationships with all of their previous clients and the buyer’s agents in the area. For example, Harlan keeps a database of past clients to regularly keep in contact with people she’s worked with. He consistent outreach helps her build trust within the community. Buyers will buy homes with more confidence from an agent that has an excellent reputation in the community and that others recommend. If you’ve never sold a home before, you won’t be able to promote your house to an established network of buyers and you’ll have to run through the additional red tape to close the deal. Many experienced real estate agents have spent enough time buying and selling homes with clients that they can form educated predictions on the specific housing market. 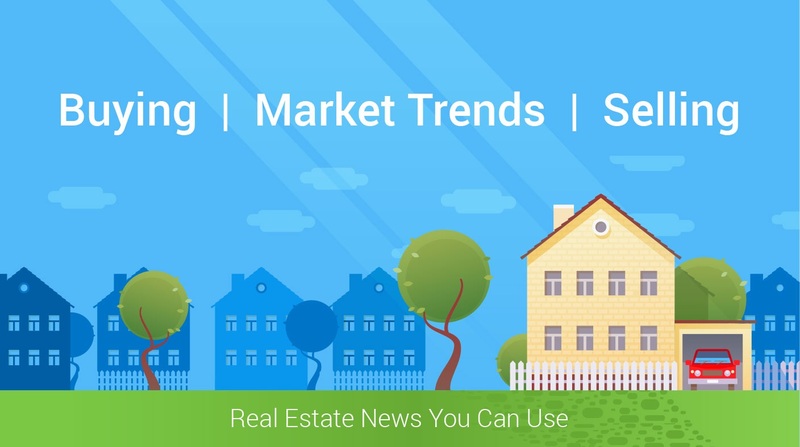 This general understanding of market trends allows real estate agents to advise their clients accordingly, which could include when to list the home and for what price. Without this knowledge under your belt, you may find your home sitting on the market and thus, losing value. In the hands of an experienced real estate agent, your home will be snatched up quickly. 13. Do you know who you’re selling to? The United States is a huge country and each and every area has something special about it, and that special something is going to characterize the people who live there and who want to live there. For example, people who move to Colorado might do so because of the numerous outdoor activities the state offers. Those who live in Miami might love the ocean and never-ending nightlife. A real estate agent in Boulder, Colorado, for instance, might state the distance from popular ski resorts and hiking trails in their listing. A ski buff who loves the mountains is likely going to be more attracted to your property and therefore be willing to pay more than someone who isn’t. As a seller, do you know how to effectively leverage these points in your real estate listing? The internet is a great first step, as Zillow itself has over 160 million monthly users. Additionally, sites like the Multiple Listing Service, which was developed by real estate agents to streamline the buying and selling process, is used by over half of buyers. This is great, but you’ll want to keep in mind that you’re competing with professionals who are trained to list houses. Selling homes are their full-time job: they’ve got the time, they’ve got the manpower, and they’ve got the experience to run circles around FSBO sellers. The commission might seem like a turnoff, especially if your home is very valuable. However, real estate agents are working to sell the home for the best price possible, which actually works out to make you more money in the long run. Agents have the tools and expertise to list your home effectively and make negotiations, which helps them secure buyers with higher budgets. According to NAR, FSBO homes are typically sold for $60,000 less than homes sold by experienced Realtors, a price that significantly works out in your favor even after the commission is taken out. 16. Nobody expects the unexpected! Do you know what to do in case the unexpected happens? What if there is a problem in the contract? What if your home is destroyed by a natural disaster during the selling process? If something goes wrong, you’re not going to have the comfort of an experienced professional to help you through the process. 17. Can you run a credit check? Say you’ve finally found someone to buy your home just to find out that the bank wouldn’t approve them for a mortgage. Now, due to contingency agreements, they’re no longer purchasing from you. At this point, you’ve probably wasted hours of time on someone who couldn’t even buy your home. This could all be avoided with a brief credit check that shows the likelihood of a mortgage loan approval. While real estate agents don’t normally perform credit checks, they or their firm will streamline the pre-approval process and indicate if the person will be able to actually buy the home. All in all, taking it upon yourself to sell your home can potentially lead to hours upon days of wasted time, serious issues, and, worst of all, selling your home for a significantly lower price than what it’s worth. Hiring a top real estate agent, like one recommended by HomeLight is worth it for this investment. We can assure you that if you choose to go the FSBO route, you’ll regret it in the long run!